How to make new friends as an adult, and have fun doing it. Hello, my darling readers. It’s been a minute, but last time I posted I promised some happy happy joy joy coming your way. So today, I’m going to talk about one of my favorite things to do in Fort Wayne: goofing around with the Fort Wayne Sport and Social Club. The Fort Wayne Sport and Social Club is exactly what it says in the title. We play a sport for a little bit, and then we socialize after over a drink…or several. There are different sports going on at different times of the year such as dodgeball and flag football. 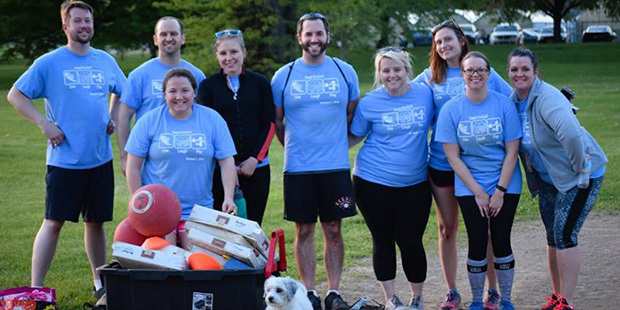 The upcoming seasons starting next week will include volleyball and a big favorite, kickball. I’ve actually felt a little lost the past couple weeks because we are between seasons. 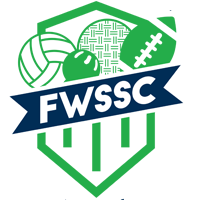 FWSSC has become an important part of my week. I get absolutely giddy in the days leading up to kickball and the day of? Well, I can hardly sit still due to the excitement. It may seem silly to the average adult to get so excited over, well, anything, but I can’t help it. For a few hours a week, I get to be a kid at recess again. 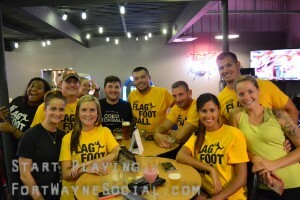 Fort Wayne Sport and Social has also done something else wonderful for me, something that can be incredibly difficult as an adult – making friends. When I moved back to Indiana in 2014 after eight years away, I came back to find exactly what you would expect. Everyone grew up. Some got married, had babies or maybe moved away altogether. Exactly what you’d expect and yet a strain on one’s social life. I adore my core group of girlfriends from high school and see them when I can. I’m so grateful to still have them in my life. However, getting together can be tricky because of all that nasty growing up nonsense. I knew that I, now a single mom faced with lots of other new challenges, was going to need to meet some new people. About a year ago, Chris, who runs FWSSC contacted me via Facebook and invited me to play in the league. I wasn’t able to join up at first because I worked a second shift job with a rotating schedule, and I didn’t know at the time if I could commit to playing a team sport (although I know now that others certainly do it). A few months later I was offered a job with daytime hours, and one of the first things I did was sign up as a free agent for dodgeball. I was so stoked to be able to meet some new people and get in some activity at the same time. And it’s been one of the best things I’ve done for myself. The people are friendly and welcoming, the drinks are ice cold, and the good times are always rolling, whether we’re playing a rousing game of beer pong or an intense game of flippy cup at the bar after games. I’ve made some wonderful friends through this club and meet new ones all the time. It’s a place where everyone (over 21, of course) is welcome to come out, play, laugh and make some memories. If you are interested in learning more, don’t hesitate to ask me or you can visit the website at http://fortwaynesocial.com/. The new season starts next week and you have a few more days to get registered. Wanna play?